What does your shop need? Do you want a Free Die Cart Brochure? We offer two series to choose from: Manual Walk Behind, which is not powered; and Powered Walk Behind, which is powered to accommodate heavier die sets. Built-in battery chargers are standard on both models for convenience of operation. 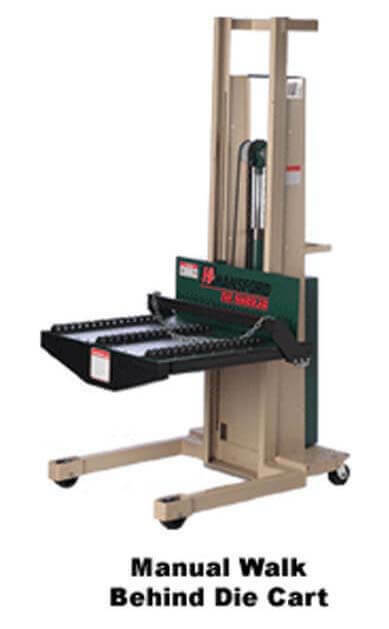 All models are available with one or three platform styles to choose from. Maximum Die Weight 2,500 lbs. Machine Weight 515 lbs. 535 lbs. 550 lbs. 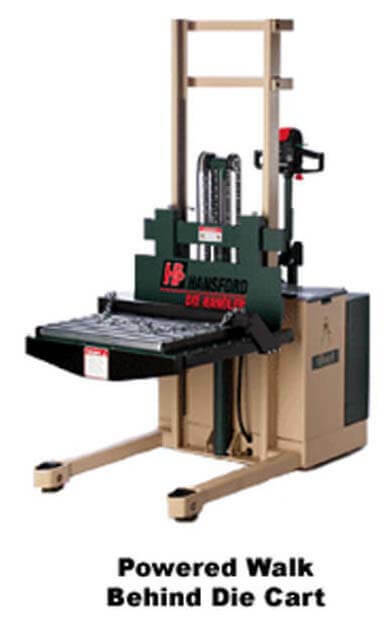 Short demo of a Manual Walk Behind Die Cart in use at Hansford Parts and Products. Tell us about your challenges, you’ll like our solutions.